Musings 'n scribblings of a philanthrope .. : India retains top spot in data usage, thanks JIO .. ..
India retains top spot in data usage, thanks JIO .. ..
On the 5th of September last year, Indian Internet data consumption was just 20 crore GB (200 million GB) per month. On 5th of September 2017, this figure changed to 150 crore GB (1500 million GB) per month. Who was the top singular Internet service provider and telecommunications provider in India who made a big difference the way India handles data ? was no doubt Reliance Jio, the telecommunications company working on 4G by Mukesh Ambani. In the period of a year he also has got atleast 136 million new connections making it among the top telecom players of the world. 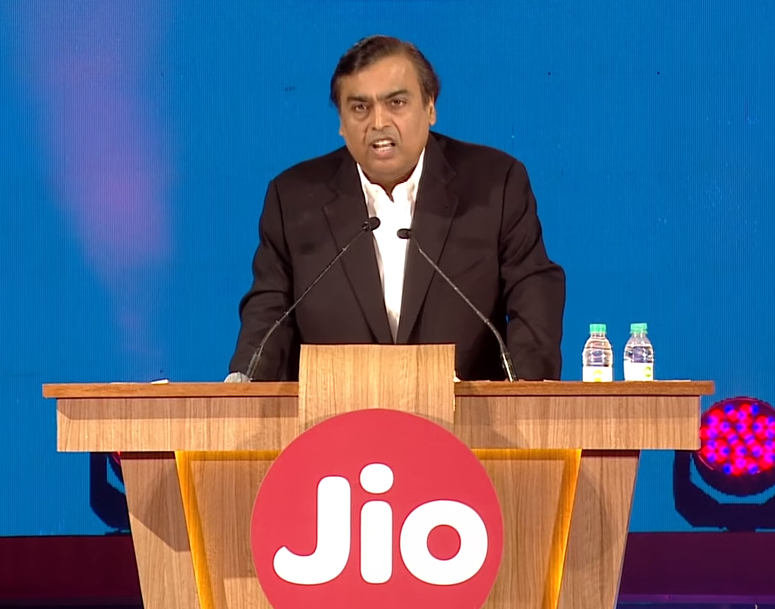 With the offer of a free Jio 4G phone for Rs 1500 ($25, refundable) he is again going to disrupt the whole telecom world like never before. 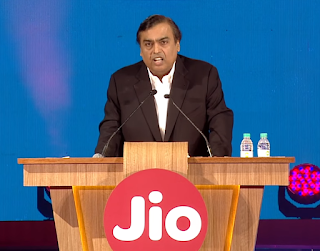 Mukesh Ambani invested almost $ 33 billion in building hardware infrastructure in cables, towers and stations across the country making Reliance Jio investment the heaviest in telecommunication in any country of the world by any telecom service provider. Mukesh has also seen that India has the cheapest 4G data availability at $0.17/GB. Telecommunications sector being a very hot and active participant in economic development of any country, it is not hard t say whether India can maintain the lead for a long time. Will China build its own super heavy networks and challenge India and Reliance Jio ? We have to wait and watch.